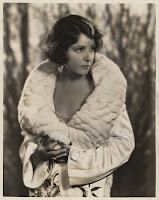 One of the most popular film stars of the silent era, Norma Talmadge was born on May 2, 1897, in Jersey City, New Jersey. The eldest of three sisters, she grew up in Brooklyn, New York, near the Vitagraph movie studio. After her father abandoned the family, her mother, Peg, became determined to mold her girls into film stars. She succeeded with her beautiful older daughters, Norma and Constance, and achieved the next best thing with her youngest, Natalie, who became the wife of screen legend Buster Keaton. 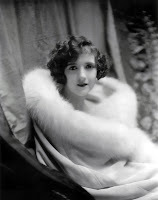 Norma was the first of the Talmadge sisters to break into the film business. At 14, she began working at Vitagraph. She had her first role of note in A Tale of Two Cities (1911) and was given her first lead two years later in Under the Daisies. During her five years at Vitagraph, Norma Talmadge made more than 100 films. After leaving Vitagraph, Talmadge made several movies with the Triangle Film Corporation, which was headed by Thomas Ince, Mack Sennett, and D. W. Griffith. But she did not achieve full-fiedged stardom until she met and married Joseph M. Schenck, manager of Loew’s Theatrical Enterprises, in 1916. Schenck took charge of both Norma and Constance Talmadge’s careers. He helped Norma set up her own film studio, the Norma Talmadge Film Corporation, which produced the hugely successful Panthea (1917) as its first movie. 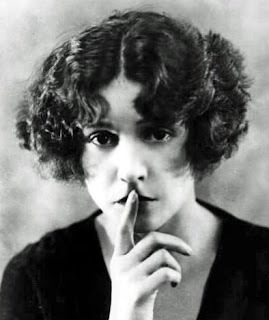 Talmadge remained a top box-office draw throughout the 1920s, bested only in popularity by MARY PICKFORD. Though not an accomplished actress, she excelled at two types of roles. In the majority of her films, she played a long-suffering heroine, often thrust into a cruel world and forced to make her own way. These melodramas were the precursors of what became known in Hollywood as “women’s pictures.” Talmadge also often appeared as exotics. Playing an Arab dancing girl, an Indian princess, or a tropical beauty, she was an effective fantasy figure for her fans. Talmadge’s life also excited the imagination of her audience. She and her sisters lived in high style, and the clothing they wore in their films set a standard for young, fashionable women. Norma and Constance were a favorite subject of fan magazines. For a time, Norma became a regular writer for Photoplay, in which she offered readers fashion advice. 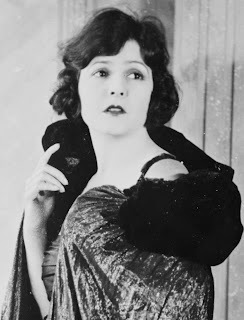 Despite her glamorous lifestyle, Norma Talmadge was notoriously hardworking, appearing in more than 250 movies during her career. Characteristically, she took the advent of sound film seriously. Talmadge made no movies in 1929 so that she could concentrate on her studies with a vocal coach. The effort, however, was a waste. Talmadge made two sound pictures—New York Nights (1929) and Dubarry, Woman of Passion (1930) both of which were commercial disasters. Rich from solid real estate investments, Talmadge decided to leave the film business. An old Hollywood legend holds that the retired Talmadge was once pestered for an autograph by a fan while leaving a restaurant. Content with no longer having to play the star, she responded, “Get away, dear. I don’t need you anymore.” In 1934, Talmadge divorced Schenck and, a month later, married vaudeville star George Jessel. They were divorced in 1939, and Talmadge married Carvel M. James, a physician, in 1946. She died on December 24, 1957, leaving behind an estate worth more than $3 million. Basinger, Jeanine. Silent Stars. New York: Alfred A. Knopf, 1999. Loos, Anita. The Talmadge Girls: A Memoir. New York: Viking, 1978. Secrets (1924). Home Vision, VHS, 2000.